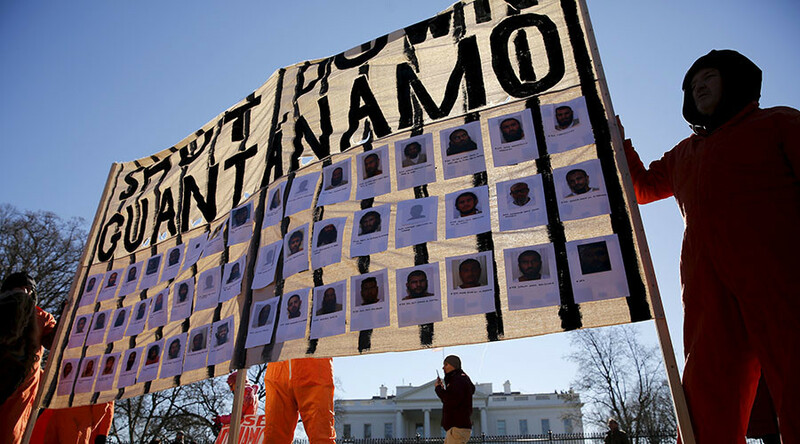 President Obama’s final year in office marks the Guantanamo Bay detention facility’s 15th year in operation. RT interviewed David Remes, a lawyer who has advised over a dozen Gitmo inmates, about the rising stakes facing the remaining prisoners there. Remes, who left a lucrative position in corporate law in 2008 to pursue his newfound passion for defending human rights, told RT anchor Lindsay France that the chances of the prison camp being closed by the end of Obama’s term were slim to none. It’s estimated that 91 detainees remain, 34 of whom have been cleared for transfer. However, the process of actually transferring them can take years. “They are branded as terrorists, terrorists so terrible that they cannot even be held in supermax prisons, and the complete mythology has run up against them,” Remes said, while also noting that the transfer hearing processes have sped up recently. “It started at a snail’s pace, but now, in his last year, Obama has made clear that he wants the review process to end toward the summertime, so that he can get on with the business of transferring cleared detainees to other countries. “Right now, he is already accelerating transfers. He sent 10 detainees, including three of my clients to Oman this past month. He also sent another client of mine to Montenegro, and he’s going to be sending detainees to plenty of other countries, because the State Department has been just doing a magnificent job of negotiating transfer agreements with other countries,” Remes said. On the subject of interrogations, Lindsay France asked for Remes’ opinion on developments in the relationship between the CIA and the American Psychological Association. In the wake of the CIA torture scandal, the APA ruled its members would be violating their ethical obligations by participating in CIA and Pentagon interrogations. The Pentagon has said more recently that it has learned its lesson and urged the APA to rejoin its efforts. “It’s also claimed that if these photos or tapes are released, it will somehow weaken the morale of the agents of the federal government, of the intelligence services, the defense people, but what that really means is, is that the greater the abuse, the greater case for keeping the abuse secret,” Remes added.